Singapore has 3 main cultures living together in harmony, a booming economy, low rates of crime, minimal traffic jams, and a peaceful feel that’s unique to this island nation. Even if your experience is limited to a stop at Changi airport, you can’t help but notice there’s something extraordinary about Singapore. I’ve been to dozens of zoos around the world, and to be honest, it now takes a lot to impress me. It’s fairly rare for me to carve precious time out of my itinerary to visit a zoo, but I made an exception this time. 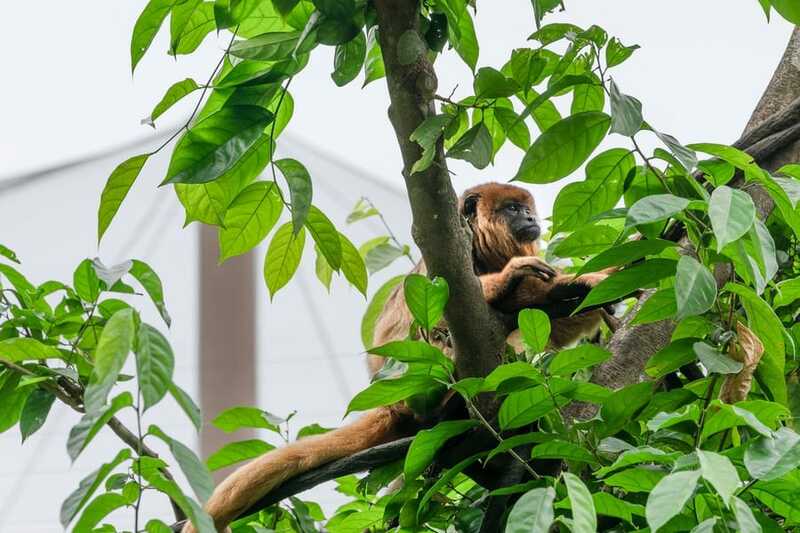 I had a feeling that Singapore Zoo would be pretty special so got discounted tickets at Voyagin and spent a day exploring Singapore Zoo and River Safari. Like the rest of Singapore, everything at the zoo was done a little differently and very efficiently. 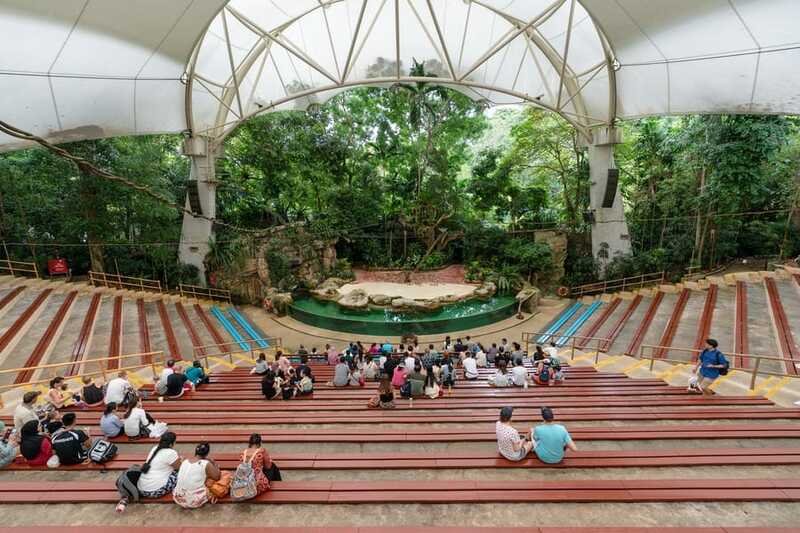 I found 11 ways that Singapore Zoo stands out as one of the best zoos in the world. Even before I entered the front gate, I noticed the zoo’s strong focus on environmental protection. I planned to buy a bottle of water from a convenience store, but they didn’t sell any. Instead, they sold branded empty water bottles and have water refill stations throughout the zoo. The cynical of you may think that’s just a great marketing ploy, but it actually works out in your favour. I paid $8 for my water bottle and filled it up 5 times. An average bottle of water is $2, so I would have spent $10 on water and thrown 5 plastic bottles in the trash. Every little bit counts to help the environment and your wallet. And staying hydrated in tropical, humid Singapore is of paramount importance. Visiting Singapore Zoo gives you a glimpse of what Singapore looked like before transforming into the concrete jungle it is today. The entire zoo complex resembles a tropical jungle. There’s lush green shrubs, colourful flowers, and soaring leafy trees everywhere you look. Monkey and bird exhibits have tall trees and vines instead of artificial planks and ropes, so the monkeys swing around on natural vines just like they would in the wild. 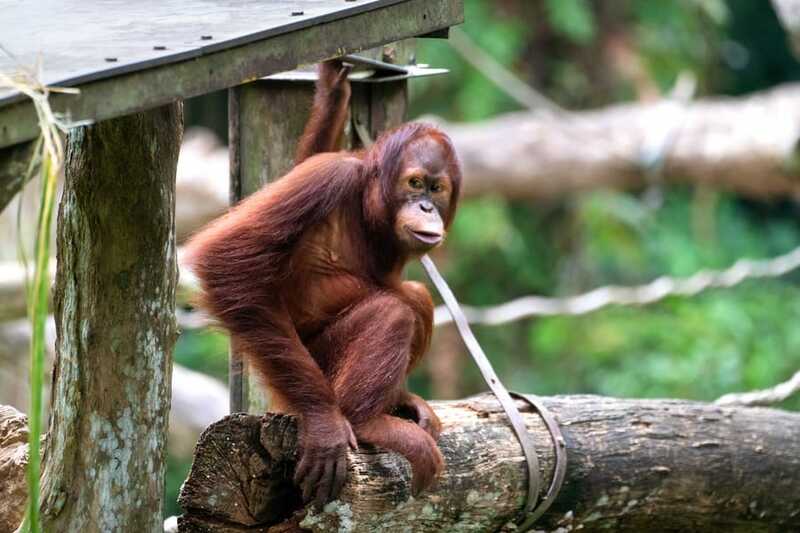 My favourite thing about Singapore Zoo was how most animals are not kept in cages but housed in large enclosures with fences about waist high. Just inside the fence is a 2-to-3-metre-wide moat that stops the animals from jumping out. Some caging and wires are around the moat to deter animals, like cheetahs, that seem interested in venturing outside their enclosure. The lack of caging means visitors can see the animals almost eye to eye without unsightly bars and fences, while both humans and animals remain completely safe. Some animals are kept outside of enclosures entirely. Upon entering the zoo, I spotted a cotton top tamarin in the branches of a tree right in the middle of the footpath! One area, called the Fragile Forest, is a giant netted aviary with a winding path for visitors to stroll along. 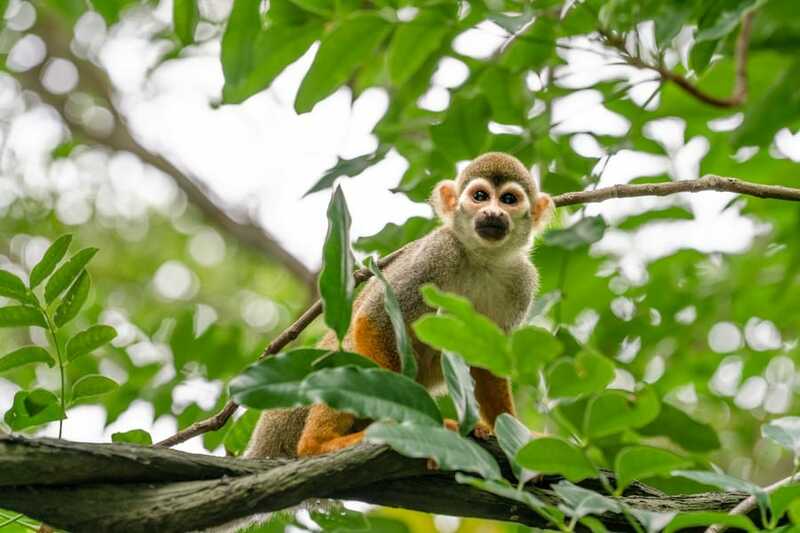 There’s no separation from animals inside, so while you’re walking along the path, bright red and green parrots fly above your head, monkeys swing alongside you in tree branches, and squirrels and mouse dear hop along beside your feet. There was even a ring-tailed lemur lounging across the sign identifying it, so close that I could have reached out and touched it. 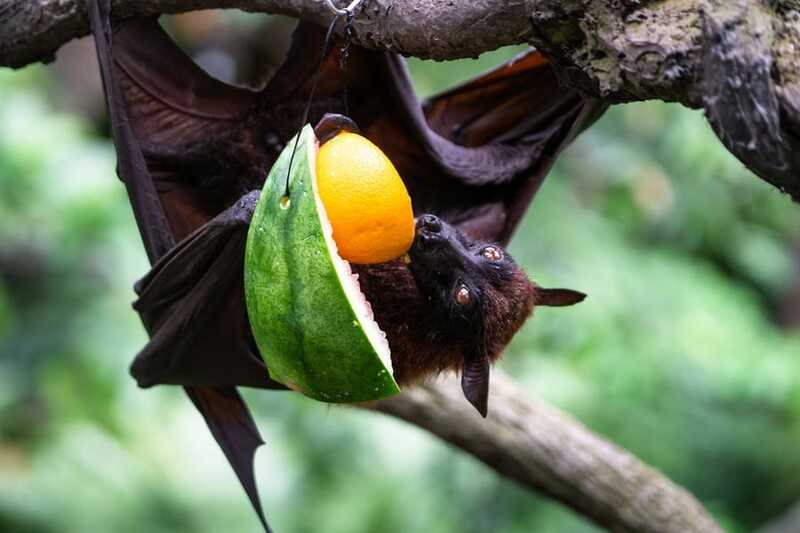 In order to enable this level of freedom, the zoo has strict rules in place prohibiting visitors from feeding or touching animals unless directed by a staff member. Only certain animals, like elephants, giraffes, rhinos and giant tortoises may fed as part of a supervised and scheduled feeding program. Limited animal food is available to purchase on a first-in-first-served basis. 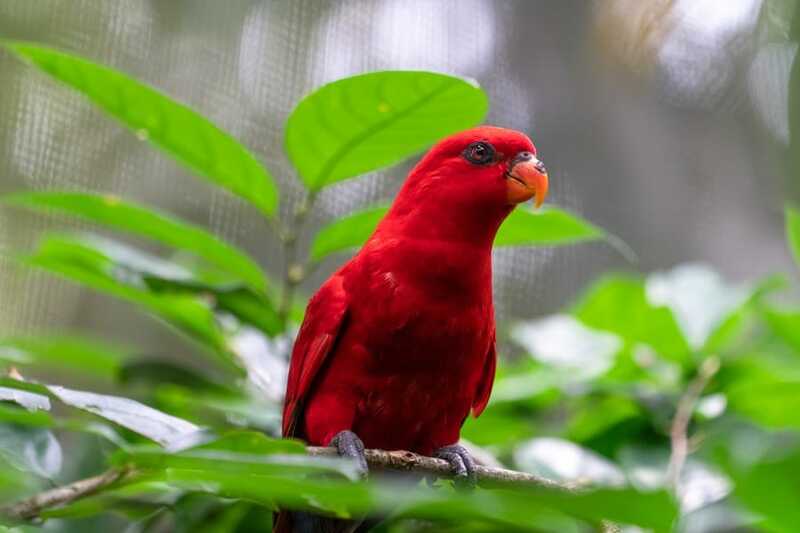 Singapore Zoo has all of the big-ticket animals you expect to see in a traditional zoo, like lions, monkeys, and crocodiles, but it also has some rare and endangered animals. There’s rhinos, white tigers, lemurs, tapirs and babirusas to name a few. 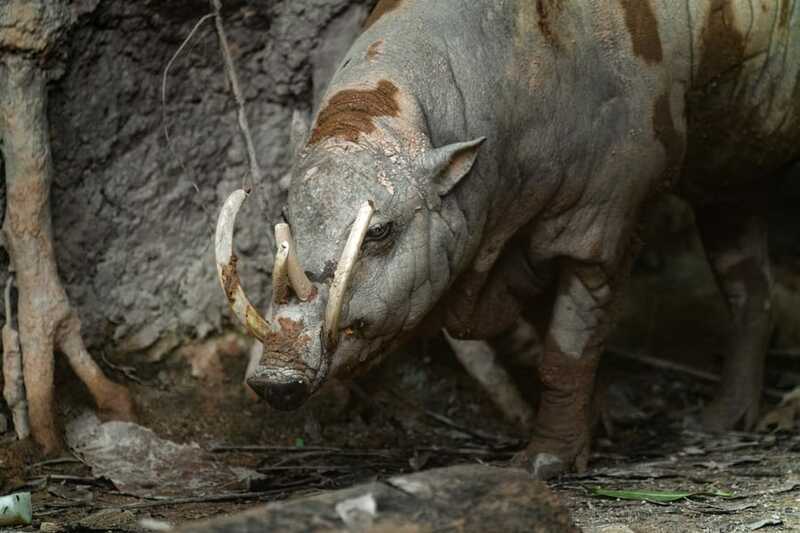 This was the first babirusa I’d ever seen and if I had to describe it, I’d say it’s a little like a bulldog – so ugly that it’s cute. 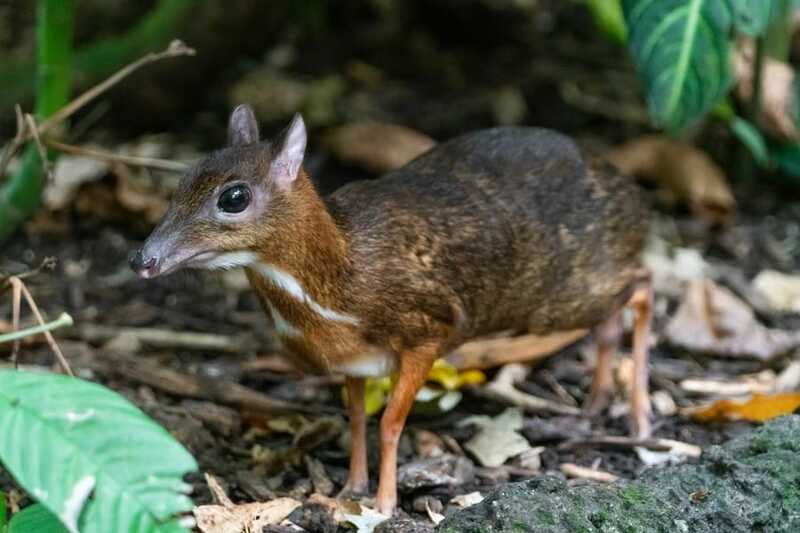 Babirusas are said to be like a cross between a pig and deer. They have 4 long and pointy tusks, 2 on the top of their jaws and 2 on the bottom. The way Singapore Zoo has structured its animal exhibits into geographical zone’s makes it all the more interesting to explore. First up is the “Treetops Trail” where monkeys swing freely in the treetops. The “Australasia” exhibit had me feeling at home with kangaroos and wallabies lazing on the grass. 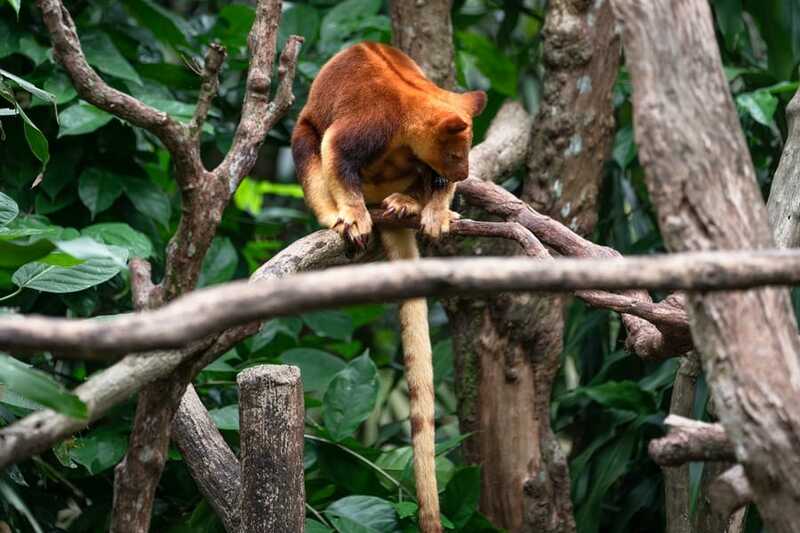 I did see something new, however, in the tree kangaroo, native to Papua New Guinea. The most exciting exhibits in my opinion were “Wild Africa” and “Cat Country”, home to giraffes, zebras, warthogs, rhinos, lions, and cheetahs. 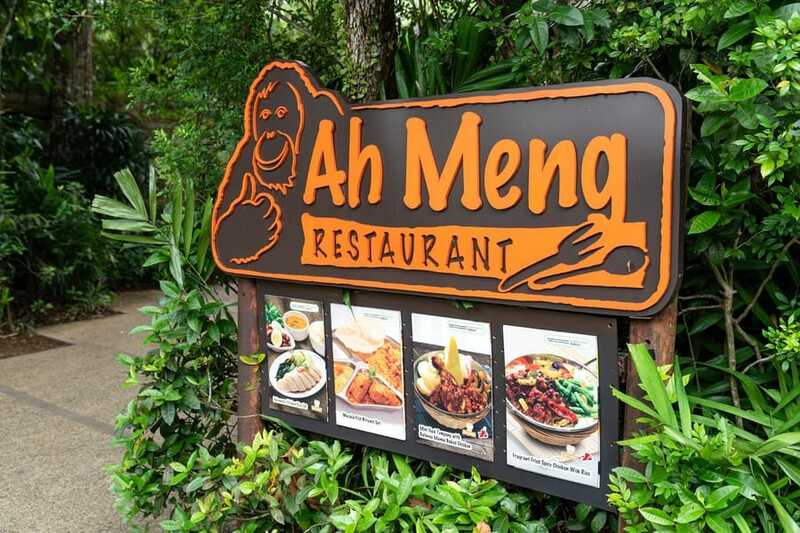 These are just a few of the many themed exhibits at Singapore Zoo. Unlike many zoos I’ve visited, most of the animals at Singapore Zoo were not sleeping but were active and playful. 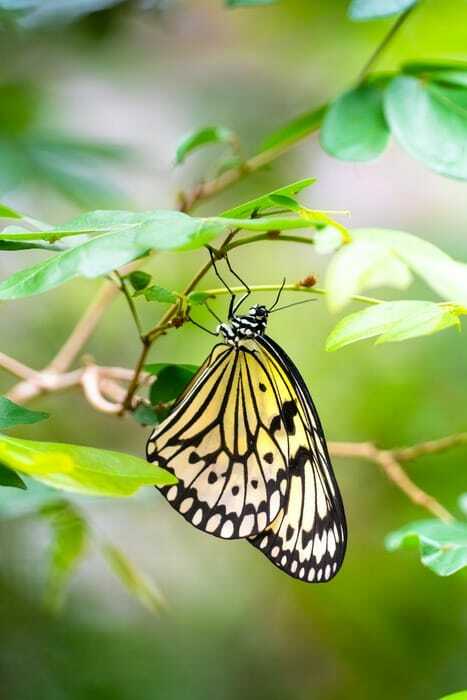 Perhaps it was the lack of cages that had them feeling so happy or maybe it was the suitability of Singapore’s tropical climate, resembling many animals’ natural habitats. Either way, these were the happiest animals I’ve ever seen in a zoo. From a lioness scratching her claws on a tree, to the sound of elephants trumpeting in the distance, to meercats standing alert just like in the Lion King. All of Singapore Zoo’s animals seemed to be loving life. Singapore Zoo runs 4 shows/presentations - once every morning and once every afternoon. 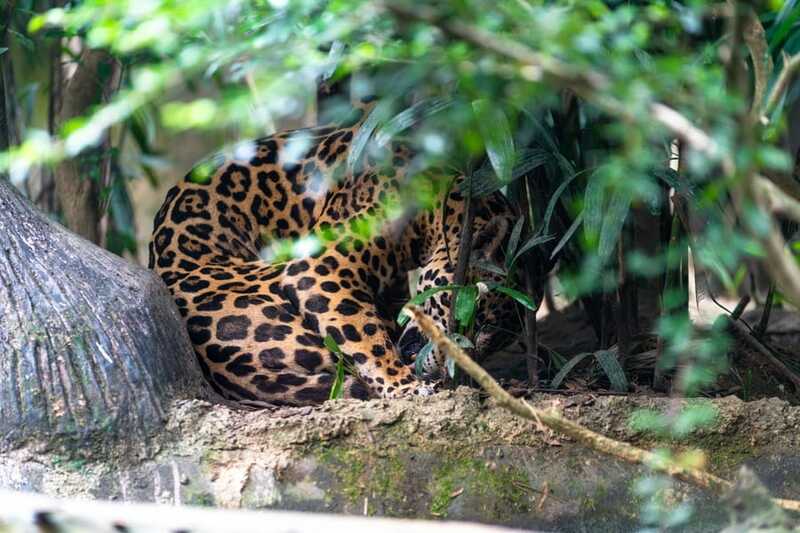 Rainforest Fights Back educates visitors about animals native to endangered rainforest habitats. I watched Rainforest Fights Back, a 15-minute presentation by zoo staff. 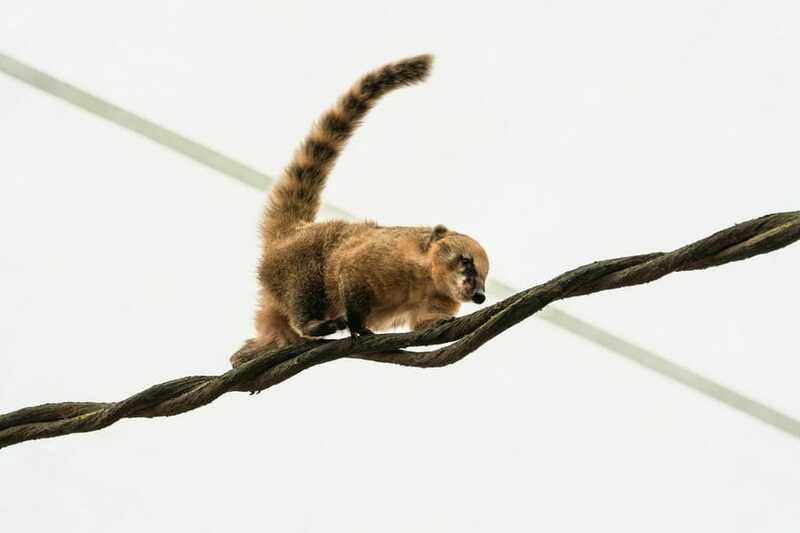 The presenter showed 10 or so animals from threatened rainforest habitats, like a vulture from South America and a lemur from Madagascar. The show definitely made people aware of the risk of rainforest destruction, but oddly it didn’t present any practical ways for people to get involved and help solve the problem. 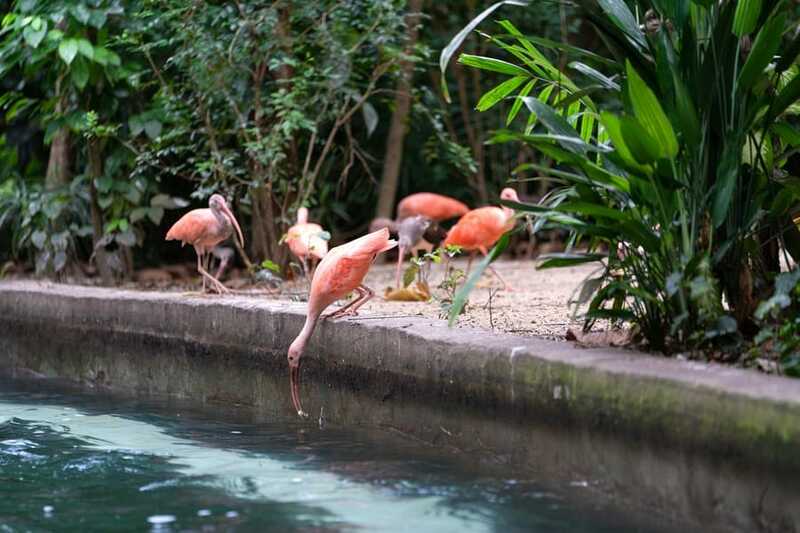 Unlike some zoos located in the center of a city, Singapore Zoo is a 30-minute drive from downtown. Since the country is so small (taking around 45 minutes to drive from the east of the island to the west), the zoo is probably the furthest tourist attraction from the city. 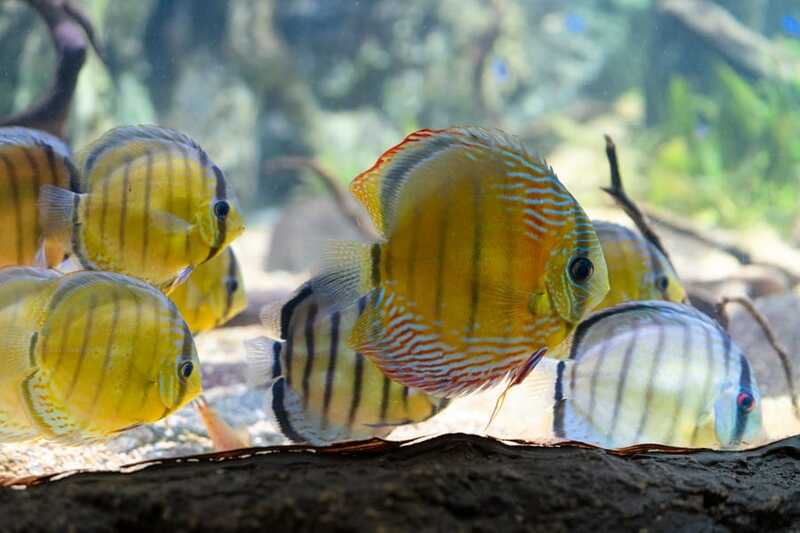 Well worth the comparably short drive, the zoo’s location means it can include large reservoirs of water, natural garden habitats, and plenty of space for each animal. 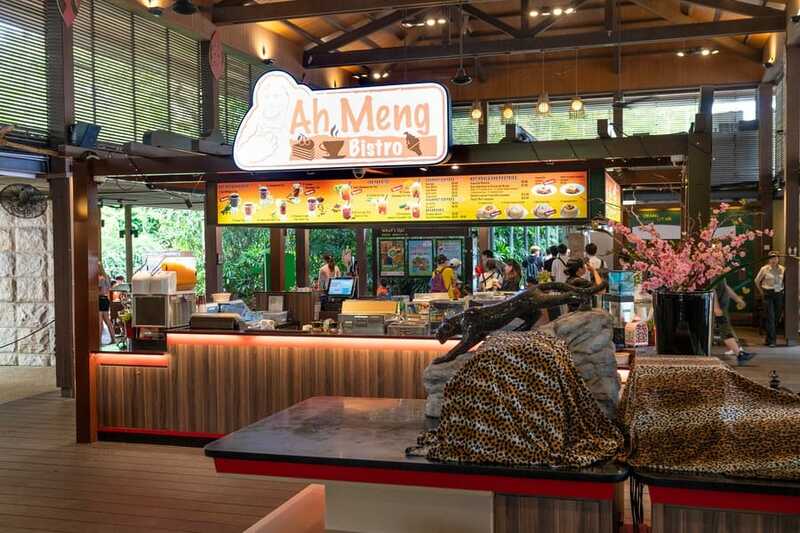 Singapore Zoo rotates seasonal themed exhibits in addition to its regular attractions. A popular exhibit is Rainforest Lumina, an interactive audio-visual display using neon lights to tell stories about rainforest animals. The exhibit runs from May to June this year, I visited in March so unfortunately didn’t get go. Entry to Rainforest Lumina requires an additional ticket to zoo entry. Discounted tickets can be purchased at Voyagin. When I visited the zoo, there was a complimentary exhibit called Dragons and Beasts, featuring mechanical replicas of dragons from Game of Thrones and mythical beasts like griffins from the Harry Potter world. I got the impression the exhibit was mainly for children, but it was still pretty cool seeing a realistic 3D replica of a GoT dragon. Singapore Zoo is a big place. The recommended viewing routes takes about 10,000 steps to complete. For those of us who enjoy walking, that’s not a problem, but if you’re not a walker, you can take advantage of the zoo’s unlimited tram service for $5 per adult and $3 per child. 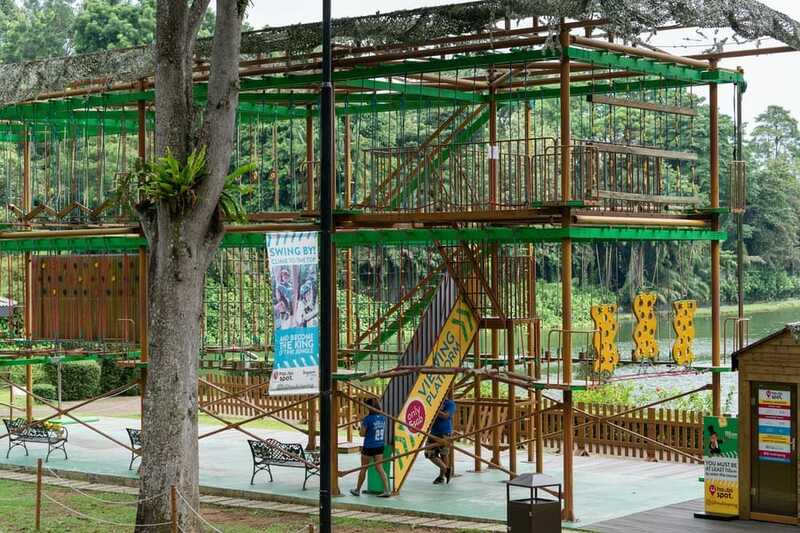 If you’re visiting the zoo with children, there are plenty of opportunities for them to stop and play along the route with a dedicated kids zone, 2 other playgrounds, and a couple of picnic spots. 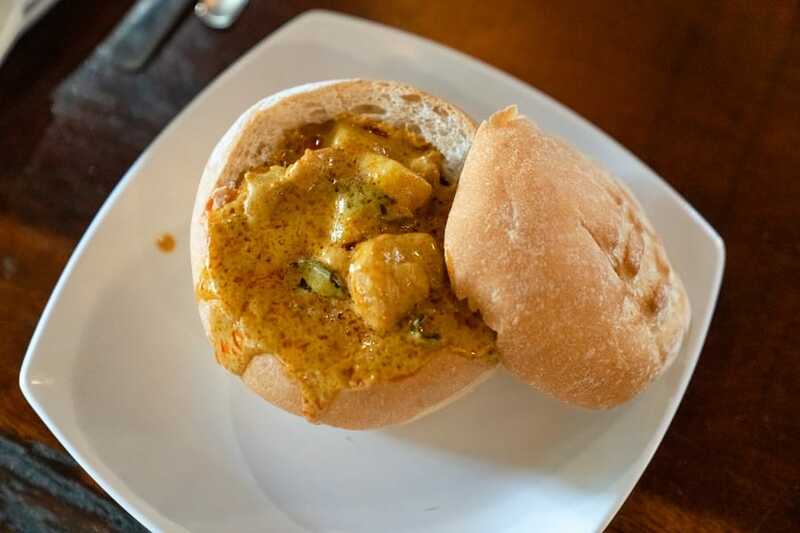 In case you didn’t pack a picnic, there’s also no shortage of places to buy a meal with 2 KFC shops, several food stands, a Ben & Jerry’s ice-cream shop, a restaurant, and a bistro. The River Safari, a separate complex to Singapore Zoo, requires a separate ticket. 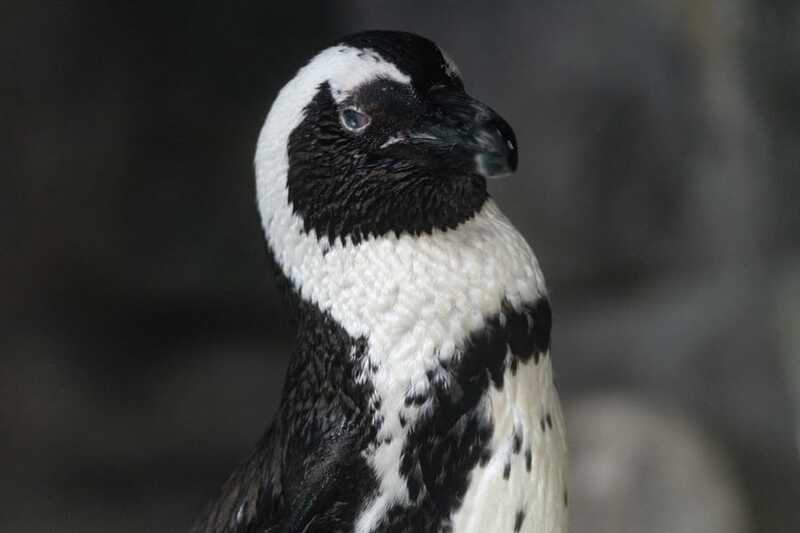 Discounted tickets can be purchased from Voyagin or at the entry which is a 1-minute walk from the main zoo (follow the signs). 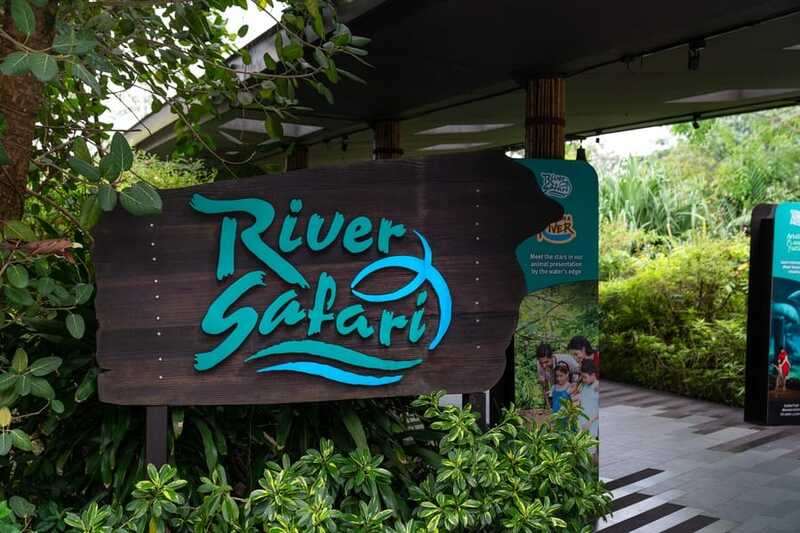 You can save a few extra dollars if you buy tickets for Singapore’s River Safari, and Night Safari as a bundle, but unfortunately, I didn’t have time to see the Night Safari on this trip. 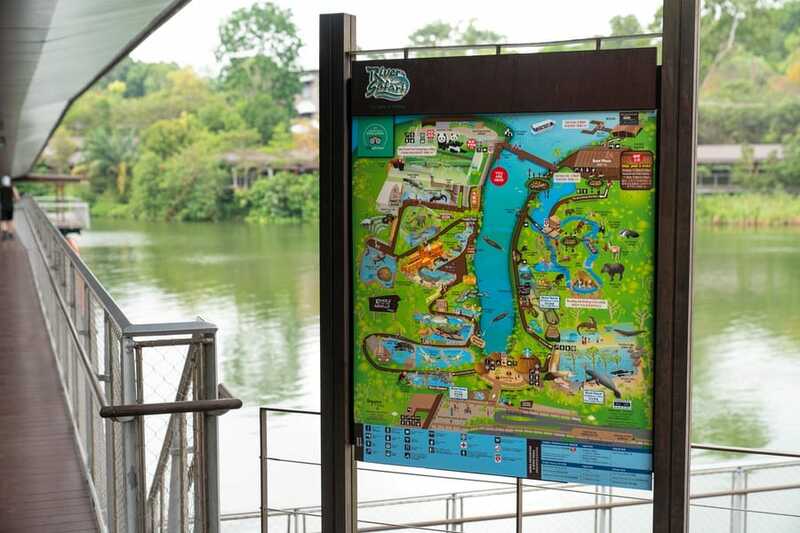 Similar to Singapore Zoo, the River Safari is structured into themed zones, one for each of the world’s major river habitats. First up is the Mississippi River with toothy alligator gars and alligator snapping turtles. The Mekong River exhibit is one of the largest with an aquarium for giant Siamese carps, Mekong giant catfish, and even a giant freshwater stingray. 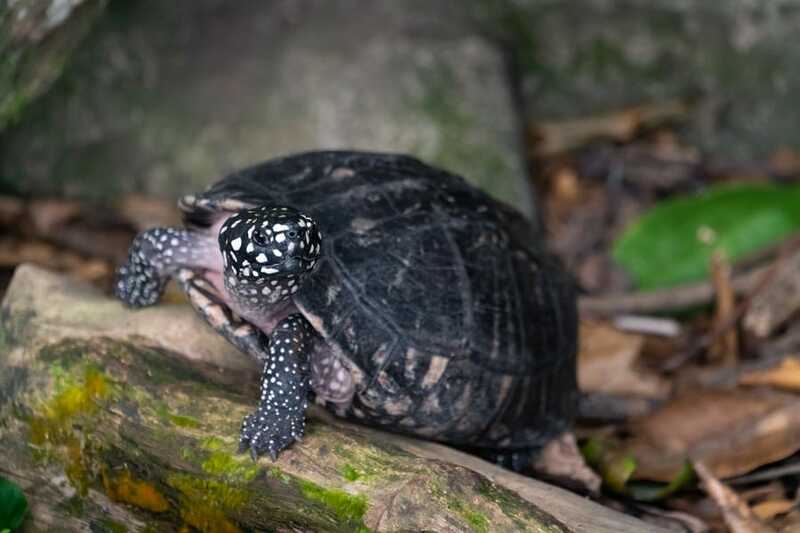 There are also displays for animals living alongside the river like crab eating macaques and giant pandas. The Amazon Flooded Forest is quite spectacular. It includes giant river otters, electric eels, piranha, and a massive aquarium with giant fish and manatees. It was quite spectacular to watch these gentle giants glide gracefully through the water. These are just a few of the many exhibits at the River Safari. 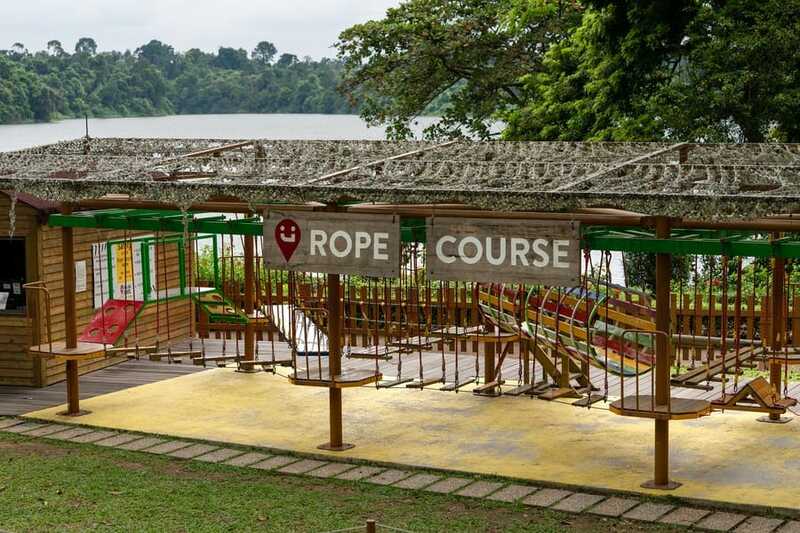 All River Safari tickets include a complimentary reservoir boat cruise as a short reprieve to a day on your feet. The highlight of the River Safari complex is the Amazon River Quest, which is somewhat like a boat ride crossed with a mini theme park ride. Each group of visitors is shown into a boat which is then lifted up on a platform and placed in a manmade channel with a strong current. 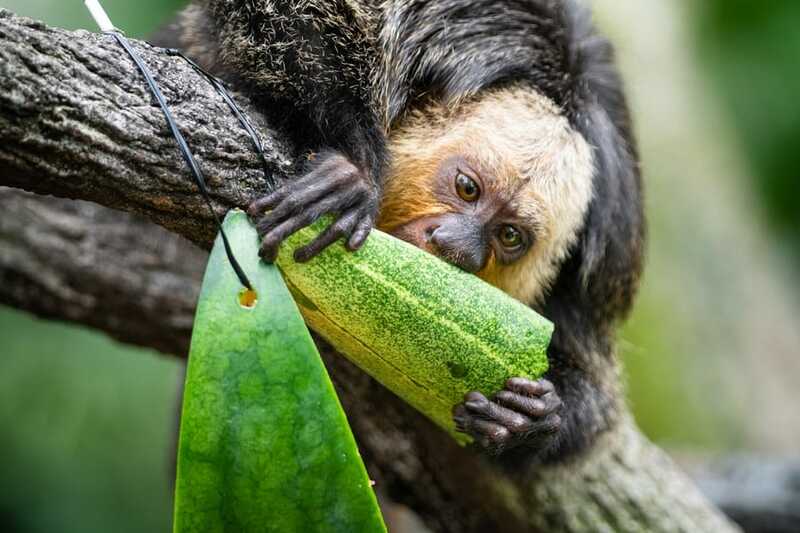 As the boat floats along the channel, it passes exhibits of animals native to the Amazon Basin, like spider monkeys, tapirs, flamingos, and even jaguars! My only complaint was how quickly the boats pass each animal exhibit. It’s quite tricky to get a good look, and even harder to catch a decent photo. Camouflaged speakers alongside the channel provide commentary on each animal as they are passed. The boat ride lasts about 10 minutes. At times, the boat goes down a somewhat steep slope, landing with a small splash, so get a good grip on your cameras and phones when you see a drop coming up. Amazon River Quest tickets are included in River Safari tickets purchased from Voyagin, or can be purchased at the gate. At first, I was a little shocked to see zoo animals with such little containment and very few animal handlers walking around the zoo. Certain areas, like the Fragile Forest, allowing people within arm’s reach of animals seemed a little odd too. The only thing stopping people from reaching out to touch the animals were well-placed “do not touch” signs. It made me realise that animals aren’t really the ones that need to managed. People are. If animals don’t expect people to have food, they have no reason to approach or attack (with the exception of carnivores like cheetahs, of course). There are too many stories of people harming or even stealing animals from zoos around the world. It’s an embarrassment to the human race. 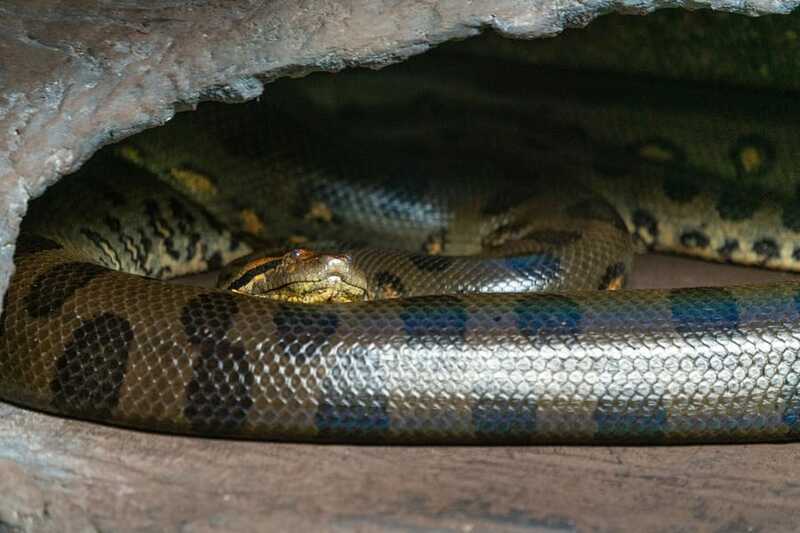 Singapore Zoo’s concept is definitely in the best interest of the animals, but it requires people to follow the rules and do the right thing. Don’t get me wrong, I’m sure the consequences of disobedience would be quite severe, but Singapore Zoo gives people the benefit of the doubt. It expects the best from humanity, and I, for one, appreciate that. 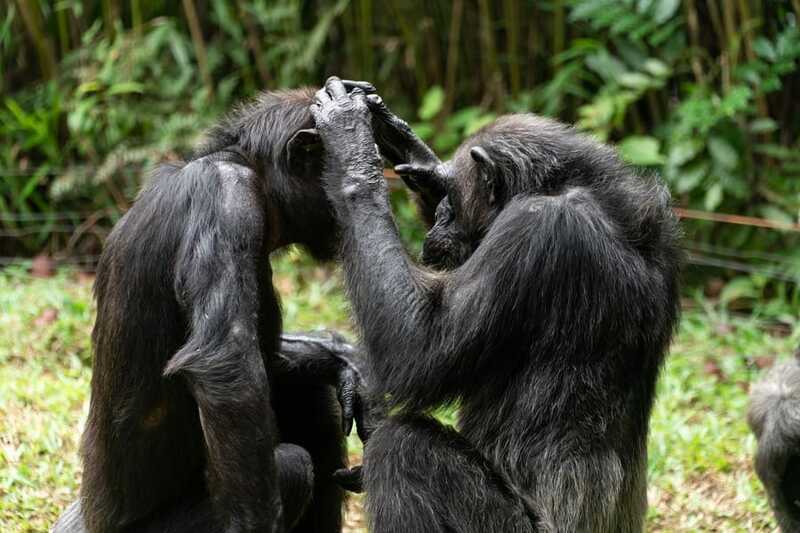 Whether or not you’re an animal lover, Singapore Zoo is one world-class tourist attraction that is not to be missed. 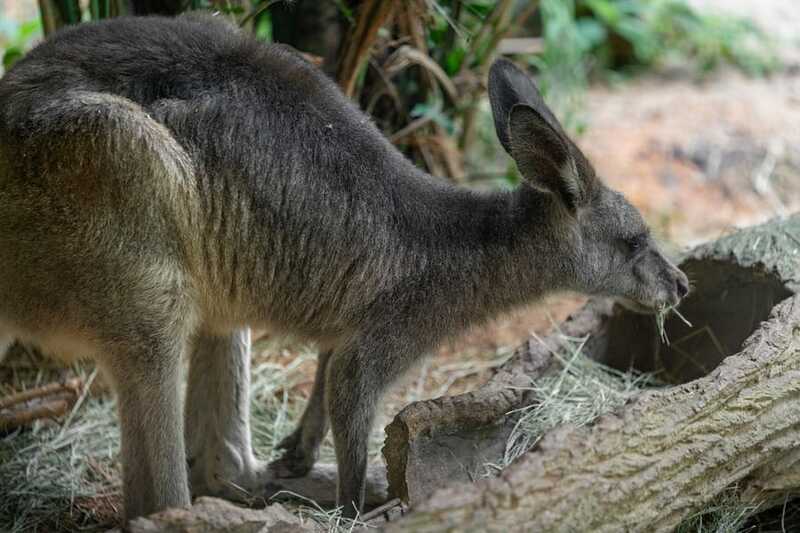 The semi-open enclosures and tropical jungle habitat give visitors a refreshing glimpse into how animals might behave in their natural environments. 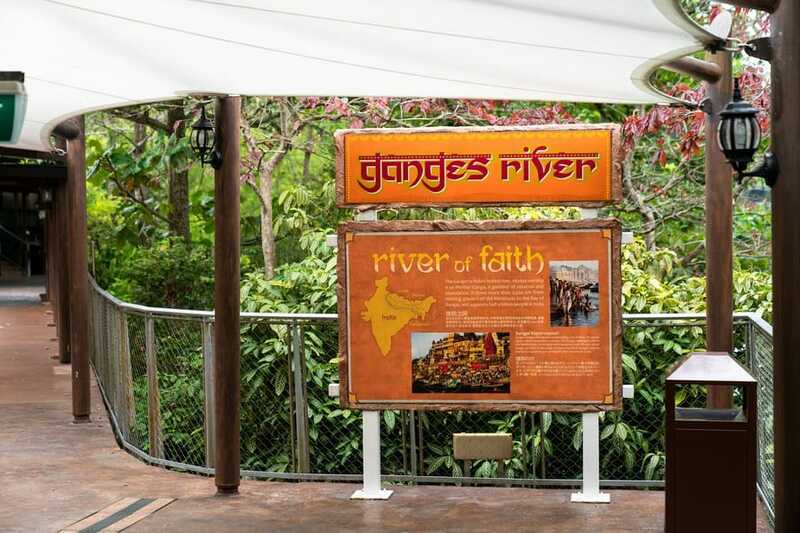 The zoo’s collaboration with the River Safari and Night Safari mean visitors can easily spend a full day exploring habitats and viewing animals they may not get to see anywhere else. 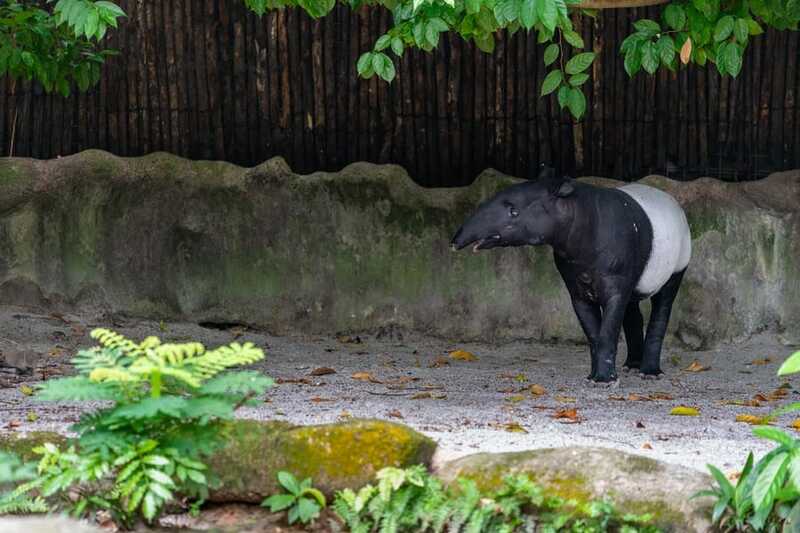 The zoo is a perfect example of how Singapore’s innovative mindset gets things done a little bit differently and, dare I say, a little bit better. I ran out of time on my last Singapore visit and never made it to the zoo. I will have to visit if I get back there again.